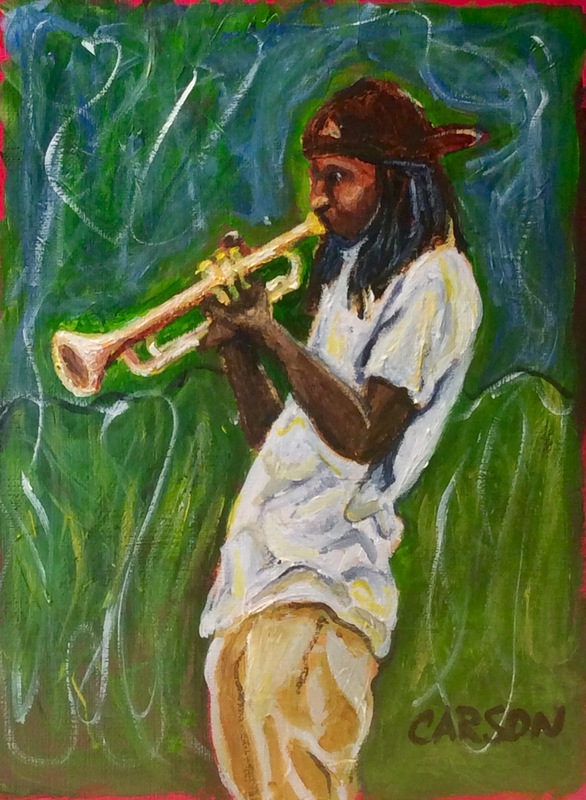 NEW ORLEANS TRUMPET. Acrylic on canvas paper. 5x7in. $25. My friend Curtis and his wife Valerie saw this guy playing on the street in New Orleans and Curtis sent me a picture as inspiration for my painting. This guy has great slinky angles and a fluid posture. This is hanging on my refrigerator right now.